Micromax has been in the televisions industry since some time and has been offering great featured televisions at cheap prices much like their trend in the smartphone industry. 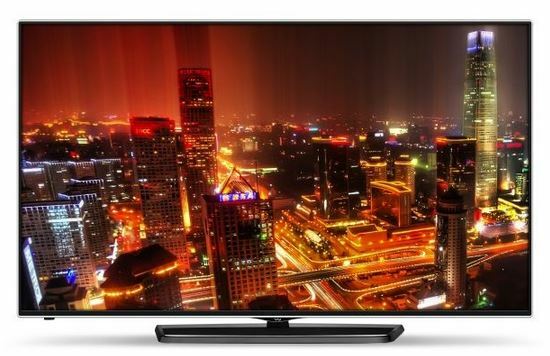 The company has now come out with two new Ultra HD televisions which are being powered by Android Operating System. The smartphones launched are with a 42 inch display which is (42C0050UHD) and the other device is a 49 inch display (50K2330UHD) both of which come with 4K Ultra HD resolution and are powered by Android Operating System. This makes it pretty great because the televisions can be updated with Apps which can be downloaded from Google Play Store. Coming to features the 42 inch Ultra HD display powered by Android 4.2 Jelly Bean comes with 3840×2160 pixels resolution and 178 degree viewing angle. The processor of the TV is a Dual Core one and GPU with 2GB of RAM. The television comes with 2.2 GB of internal storage which can be expanded to 32 GB using MicroSD card support. The other features of the device are WIFI support, Smart Remote, Gravity sensors and Miracast suppor along with 2USB 2.0 ports, 3 HDMI ports and a USB 3.0 port. The 42 inch Smart UHD TV is being priced at Rs. 39,990 and will be available only in Online store – Flipkart. The 49 inch variant of the UHD television comes with Android 4.4 KitKat and having resolution of 3840×2160 pixels with a 178 degree viewing angle. It is powered by a Dual Core CPU and a Quad Core GPU, 1 GB of RAM and comes with 2.5 GB of in built storage which can be expanded upto 32 GB using MicroSD card support and comes with WiFi support, Smart Remote, Gravity sensors and Miracast support and having 2 USB 2.0 ports, 2 HDMI ports and a USB 3.0 port. The device is being priced at Rs. 49,990 which is available exclusively only on Flipkart and not on any offline stores as of now.